A standing committee of Macau’s Legislative Assembly will submit its opinion next week on a revised draft bill that deals with smoking inside the city’s casinos. The bill is likely to come into effect on January 1, 2018, provided it receives the required second reading in a plenary meeting of the Macau legislature prior to its summer recess. Currently, smoking at the casino table is commonly permitted in areas designated “VIP”, while smokers in the mass area can only indulge their habit in smoking lounges. If the revised draft bill passes the Legislative Assembly, casinos would have to set up smoking lounges in the VIP areas as well. The legislation would also stipulate that smoking lounges adhere to enhanced technical standards, which will be set in a separate executive order by the government. “We have reviewed the draft of the [committee's] report [on the draft bill], and basically there are no issues. 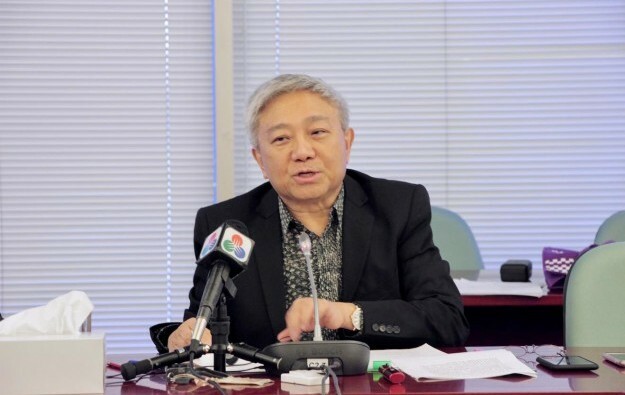 But some legislators want to add some details, so we are trying to include in our report [to fellow legislators] as much of their comment as possible,” said Chan Chak Mo (pictured), president of the Legislative Assembly’s second standing committee, in a press conference on Wednesday after a meeting of the body. One of the legislators who asked to have his detailed views included in the report document was Ng Kuok Cheong. He is a strong advocate for a full smoking ban inside casinos. Apart from stating his opposition to allowing smoking lounges to be installed in casinos, the legislator also wants the reason behind his opposition – namely the opinion of the World Health Organization regarding the health-related risks of inhaling tobacco smoke – to be clearly listed as well. “After the amendment, we hope to sign the report in the next meeting,” committee chairman Mr Chan stated. Under Macau’s system of government, a Legislative Assembly committee tasked with scrutinising a piece of legislation is mandated to issue a report on it for consideration by fellow legislators. While not binding, the opinion of the scrutinising committee can be taken into account at the second reading of a bill. The upcoming second standing committee meeting will take place next week. The date of a Legislative Assembly plenary meeting and the agenda for it are set by the president and the secretariat of the legislature. Time is running out for the Legislative Assembly to approve the bill, as the current legislative term is finishing in August. An election will take place in September to decide who will sit in the chamber for the next four years. If the proposed legislation does not pass the Legislative Assembly before the August deadline, it would fall, and the legislative process on the revised smoking proposals would have to start afresh. Brokerage JP Morgan Securities (Asia Pacific) said in a note in March that the impact on gross gaming revenue (GGR) of the revised bill should be “manageable” for casino operators. It is expected that the new rules will have a sector wide impact equal to approximately 5 percent of GGR in 2019. The city’s casinos will be given until the start of 2019 to implement the more stringent smoking lounge standards, according to the revised bill. Recently, Macau’s Health Bureau revealed that it was investigating a claim that a venue named the “Horizon VIP Room”, a gaming area at the Galaxy Macau casino resort on Cotai, operated by Galaxy Entertainment Group Ltd, was in breach of the city’s smoking control regulations. Though carrying the initials “VIP” in the title, the facility was for premium mass table games cash play. This phenomenon of “table reclassification” in Macau by casino operators has been highlighted by some analysts.